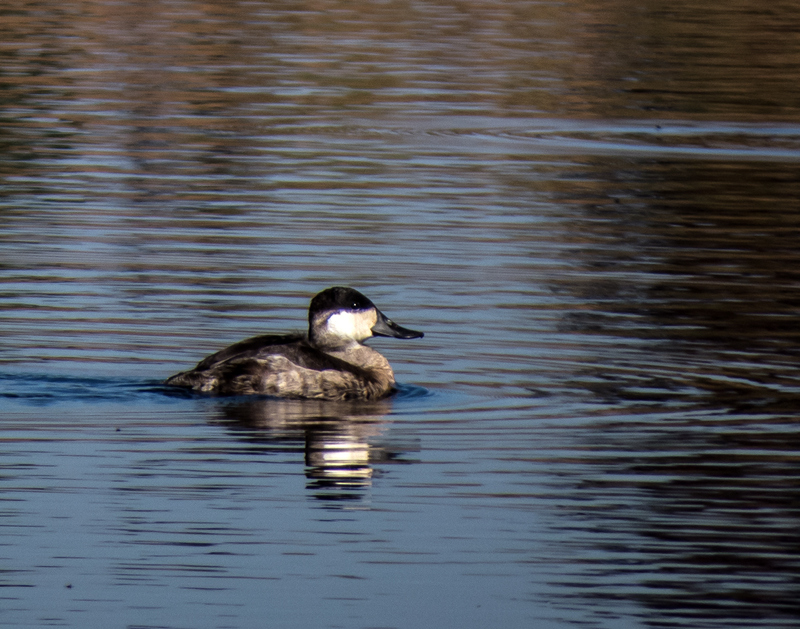 I spotted this little Ruddy Duck (Oxyura jamaicensis) all by itself on Wednesday morning at the far end of Painted Turtle Pond at Occoquan Bay National Wildlife Refuge. 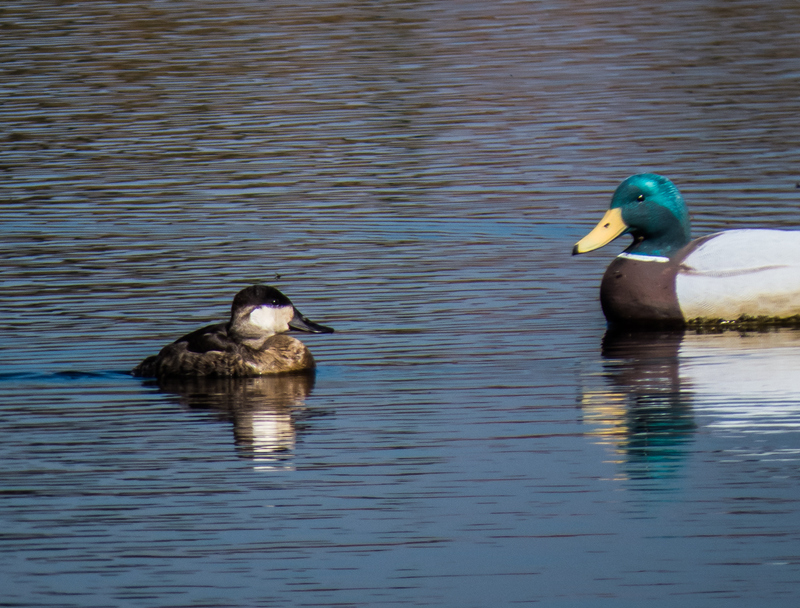 He must have been feeling a little lonely, however, and tried to strike up a conversation with the mallard decoy that is a permanent feature at this pond. The mallard remained silent. I was trying to capture a shot of the Ruddy Duck by itself, as in the second image, but I like the eye contact in the first image so much that I decided to make it my lead photo for the posting. The shot simply makes me smile. Yes that first image is a keeper. Maybe send it to the decoy manufacturer! I agree…. The first image is really special, an interspecies encounter. Thanks, Nina. On a more serious note, it really is fun to watch the interaction between species. Sometimes they are amazingly tolerant of the presence of other species, but will chase off members of their own. The look of loneliness is really visible.